Hafod Grove Houe huge kitchen dining room. Hafod Grove House Twin Bedroom with en suite. Cardigan Castle is fully restored. Suitable for the disabled: - Hafod Grove has a downstairs double bedroom with a shower room and toilet nearby so the property is very popular with the elderly or those who find stairs difficult. Contact Josy at Hafod Grove on 0792 0772797 (mobile: 07920772797) or complete the enquiry form. A large, well equipped, farmhouse kitchen, with dining area for 26 people + an Aga, as well as a conventional cooker, dishwasher, microwave etc. There are two comfortably furnished reception rooms; both enjoy lovely garden views. Reception 1: lovely private sitting rooms with twin aspect over the garden. Sky + films and sports & wifi as well open fire. Reception 2: or Alternative Bedroom 7: Comfortable large double sofa bed and day bed with trundle sleeping 4 in total. Ground floor shower room with w/c & also separate lavatory. Bedroom 1: Double small double bedroom which is near to the kitchen and shower room /toilet making it ideal for the elderly or semi-disabled. Bedroom 2 Master double bedroom with sea views (plus cot). En suite bathroom with double-ended, antique bath, power shower, wash hand basin and lavatory, this room has dual access into the hall so can be shared. Bedroom 3 Family bedroom with double bed and two trundle beds, this room features distant sea views. Bedroom 4 Has twin beds (with additional child's trundle bed), en-suite shower room and pretty garden views. Bedroom 5 A further twin bedroom with Art Deco twin beds, ensuite shower room and pretty garden views. Bedroom 6 Small double bedroom (4'6" bed) and woodland views. Large Family Bathroom with double power shower, 6’ Victorian bath, wash hand basin and lavatory. The Ensuite bathroom is accessible from the hall as well as the master bedroom. The house stands in almost 2 acres of delightful, private grounds with gorgeous countryside and sea views, there are children’s swings, and a suntrap patio barbeque area etc. Separate 80m access drive with parking for up to 4 cars. Dogs are welcome at Hafod Grove House at a charge of £15 per dog. Hafod Villa is a separate cottage sleeping 8 (plus cot) that can also be rented along with the main house if required (Hafod Villa is priced separately). At Hafod Villa, you enter through a long conservatory with alternative seating and dining area. There is a sunny sitting room with log burner, Sky + Sports and Films, Wifi with unlimited downloads & DVD. The spacious, bright kitchen/ dining room is well equipped for up to 8 guests with all mod cons. There is a ground floor king-size bedroom with ensuite shower room. Upstairs there is a family bedroom with four poster bed and matching bunk beds and pretty garden views, as well as a family bathroom with bath and restricted height overhead shower. There is also a twin bedroom with garden views. The cottage enjoys total privacy from Hafod Grove House when necessary but otherwise can be integrated both internally and externally. It has a separate 70m access drive with parking for up to 3 cars and a huge private garden and enjoys an exceptionally secluded location being set back from the quiet lane behind a small woodland. Up to 3 well behaved dogs are welcome for free when you book the cottage with the house. The House is equidistant (under 5 miles) from the bustling market town of Cardigan with its Castle, shops, theatre, gallery bars and restaurants, and the quaint Village of Newport with its Boat Club, and Golf Club both open to visitors (have lunch with a fabulous view across Newport Bay from the golf club), art galleries, pubs and cafes. In between there are many delightful country and coastal pubs and restaurants to enjoy. Walk, bike or drive into to picturesque Nevern just a couple of miles away and pop into the churchyard and see the Bleeding Yew and Celtic Cross and then have a good pub lunch in the Trewern Arms. For the adventurous there are numerous sports and activities locally such as walking and cycling locally and along the beautiful Gwaun Valley (stop at Bessies famous pub for a jug of beer) or horse riding, mountain biking or walking over the Preseli’s, walk part of the coastal path from Ceibwr to Newport totally gorgeous or go for a beach ride on Newport Sands. For the more adventurous there are activity centres for diving, coasteering rock climbing, wind surfing, hang gliding etc. Prices for 18 guests + 2 cots in Hafod Grove start at £1125 or £1525 for 26 guests, Nov - March (excluding school holidays) this includes, linen, (towels optional extras, central heating, Sky + Sports and Films and Wifi with unlimited downloads . Up to 2 dogs welcome at £10 each. Price includes; bedlinen tea-towels, central heating, Sky + films and sports, and wifi. Please note prices are for Hafod Grove House sleeping 14/ 18 in 6/7 bedrooms. Hafod Grove has a wow factor kitchen / dining room 33' x 15'. The House is a very large property with 2 staircases and wide halls. Open fires in both front Reception Rooms and a Woodburning stove in the Cottage. There is an electric Range cooker (and an Aga for winter months) in the Main House. There is Wifi in the Cottage with unlimited downloads and internet access in Hafod Grove House. There is also Sky + Films and Sports in both properties (individual boxes). There are distant sea views and beautiful rural views from the house and garden which enjoys an elevated aspect and is not overlooked from the road or by any houses - there is only one neighbour within a quarter of a mile. Distant Sea Views and Beautiful Rural Views from the upper front windows and garden. Picturesque private countryside and garden views from all other windows. Walk to our Ceibwr bay a well-known beauty spot and join the Pembrokeshire Coastal Path. With fabulous rock formations and caves, from the cliffs you can see rare mammals and sealife including seals, dolphins, basking sharks and even turtles and whales on occasion. There are numerous local sports and activities with some group discounts: coasteering, canoeing kayaking or sea or freshwater fishing, clay pigeon shooting, horse-riding and of course cycling and hiking. Oakwood Theme Park, Folly Farm Castell Henllys, Iron Age Fort Cardigan Castle and Cilgerran Castle Pentre Ifan Ancient burial Chamber St Dogmaels Abbey Activity / watersport centre Cilgerran Wildlife Centre St. Davids smallest City in Britain, Oakwood theme park, Folly Farm, fabulous petting farm for younger children and fairground. Birdspotting Red Kites fly over Hafod Grove Seal and Dolphin spotting from the cliffs at Ceibwr or Cardigan Island also basking sharks, porpoises and even leatherback turtles and the occassional Whale. Art Galleries and Craft Trails Restaurants, Bars and Cafe's offering delicious local produce. Recommended Places to Eat Out: Cardigan Town has numerous delicious bars and restaurants. 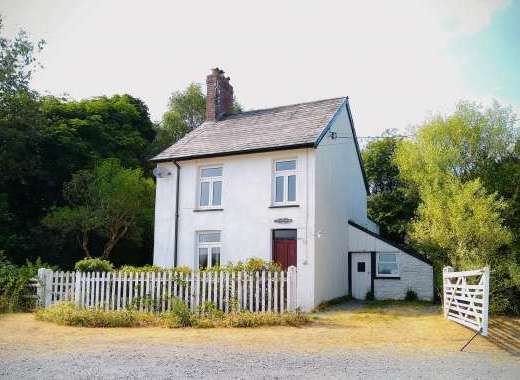 Trewyn Inn in Nevern, Jolly Sailors Porthgwlog superb fish restaurant Ferry Inn St Dogmaels fabulous estuary location Excellent Restaurants in Newport (4 mls) Cardigan has Indian Restaurant on Barge The Flat Rock Gwbert Cardigan variety of restaurants (5mls) Cilgerran, Castle Cafe. Moylegrove is a picturesque village set within a beautiful valley less than half a mile from Ceibwr Bay, with it's stunning rock formations and cliffs from where rare and unusual sea mammals can be observed. Also regularly used for bathing (although stoney) coasteering and water sports. Hafod Grove is situated in the beautiful National park and lies outside the village of Moylegrove. 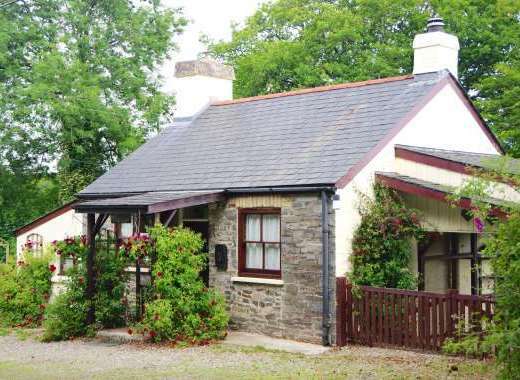 Set between the bustling market town of Cardigan and the Picturesque Village of Newport. Moylegrove enjoys an idyllic, peaceful coastal / rural location a short distance from Pembrokeshire Coastal Path within the Pembrokeshire National Park. Walk to Ceibwr Bay a well-known beauty spot with stunning Rock Formations and frequent sightings of rare sea mammals such as seals, basking sharks, dolphins and even turtles, whales from time to time.